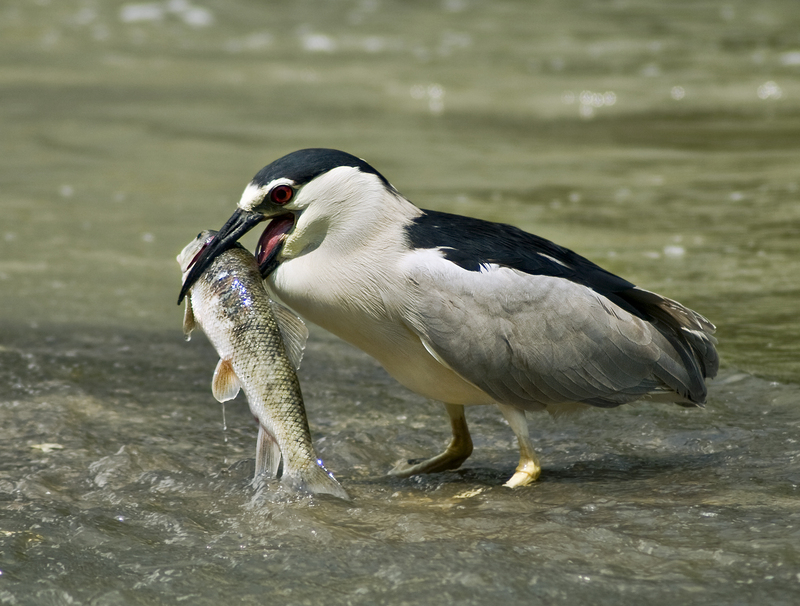 ‘Auku’u or Black-Crowned Night-Heron Nycticorax nyctocorax hoacth 24-26 inches with a 43-45 inch wingspan, black cap and bill, pale gray below, legs and feet yellow. Immature birds are brown with white on their underside. Feeds in ponds, streams, marshes, lagoon, and tide pools. They feeds on a variety of freshwater and marine animals, including fish, mollusks, crustaceans, insects, rodents, birds, and eggs. Their flight is slow with their necks tucked in and their legs trailing behind.